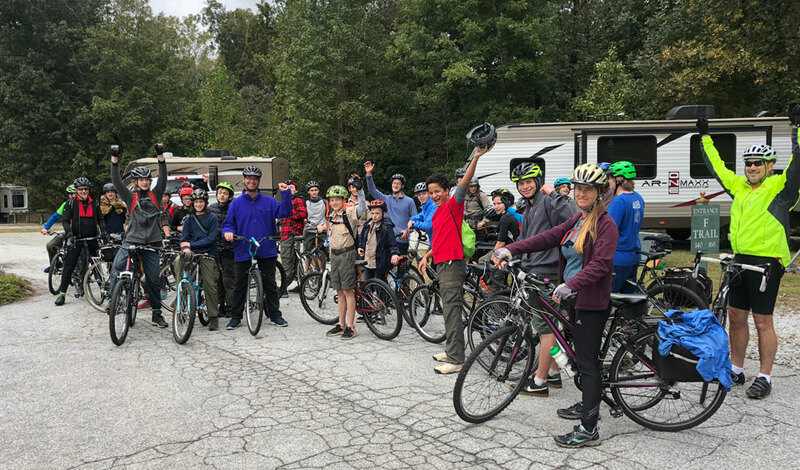 Troop 175 has 80+ scouts and 20+ adult leaders. We meet every Tuesday night during the school year. We do 10 camping trips/events a year…rafting, ziplining, rock climbing, kayaking, wilderness survival, backpacking and more. In June we wrap up the scouting year with a week at Camp 175, our campground on beautiful Lake Allatoona. Troop 175 was chartered in 1943 by the Decatur First United Methodist Church in Decatur, Georgia. The troop has been in continuous operation ever since. 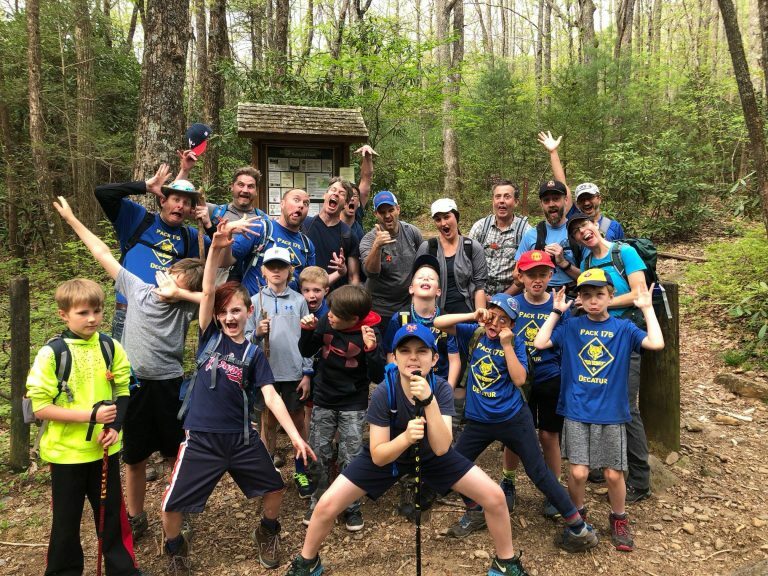 Troop 175 is for boys aged 11 to 17. If your boy is in 6th grade or older, he’s the right age for Troop 175. We invite you to visit one of our weekly meetings: 7 p.m. Tuesdays, August – May (except holidays). Are you new to Troop 175? Thinking about joining? Our Newbie Info page has all the details you’ll need. 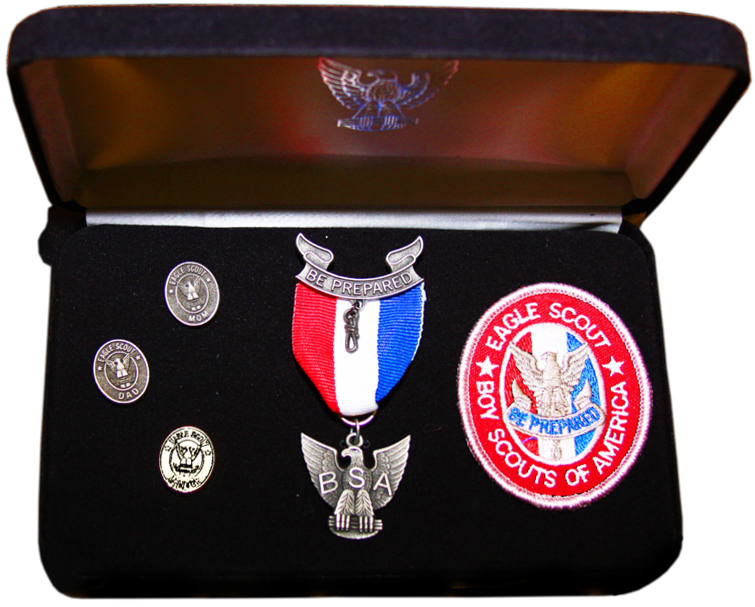 Want to be an Eagle Scout? 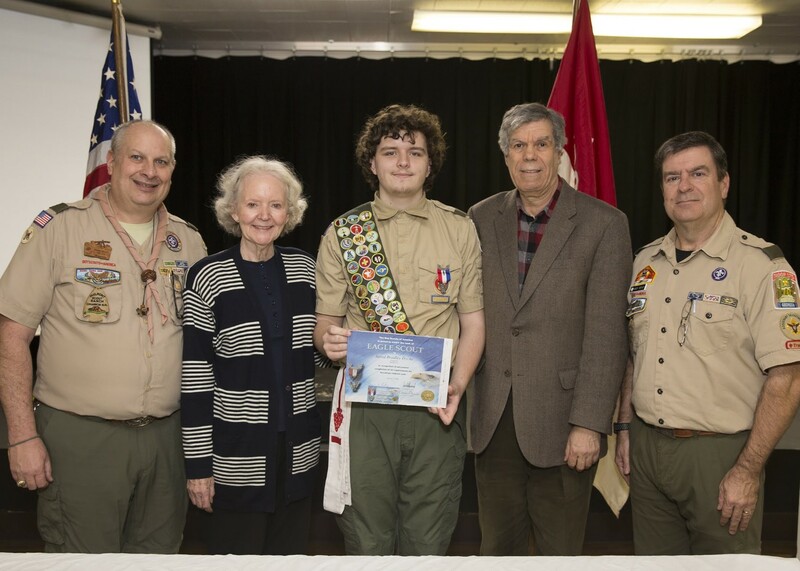 More than 250 scouts from Troop 175 have earned Eagle rank since 1949. Many of our adult leaders are also Eagle Scouts. 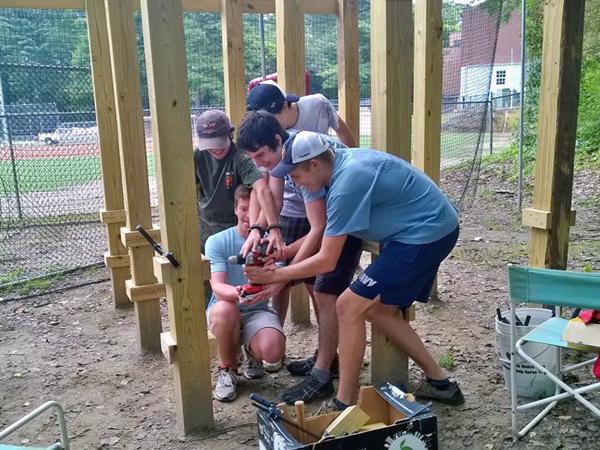 Check out Troop 175 Eagles for a list of all our Eagle Scouts and photos of recent Eagle projects. At least one parent from each family should join the Troop 175 listserv to stay updated about the Troop meetings, events and news. What’s a Poop Sheet? It’s a permission slip that tells you where we’re going, when to be there and what to pack. Trying to figure out the process for becoming an Eagle? Click for Eagle project forms, instructions, photos and more. To earn his Eagle rank, every Eagle Scout is required to lead a service project to benefit the community. Check out the Eagle service projects completed by Troop 175 Eagle Scouts. Current Troop 175 scouts and adults must re-register every September. Click for registration info and forms. Wondering what our trips are like? 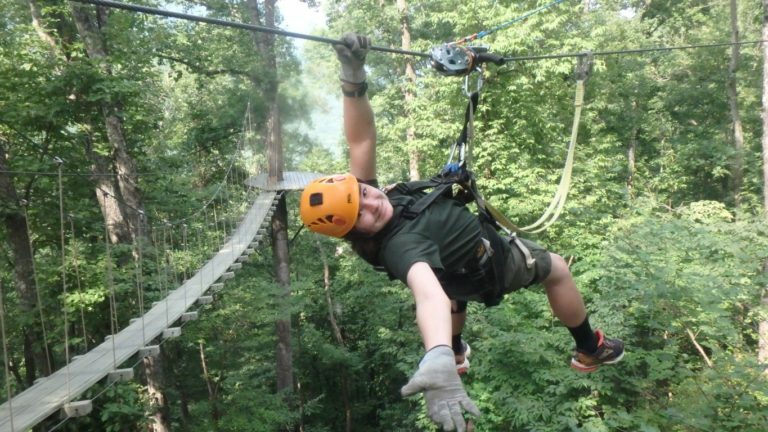 Check out photos from each Troop 175 outing. What’s summer camp like? Need to know what to pack? Get info, pics and all the forms you’ll need. Check out the our newest Eagles and their projects and see photos from recent outings. 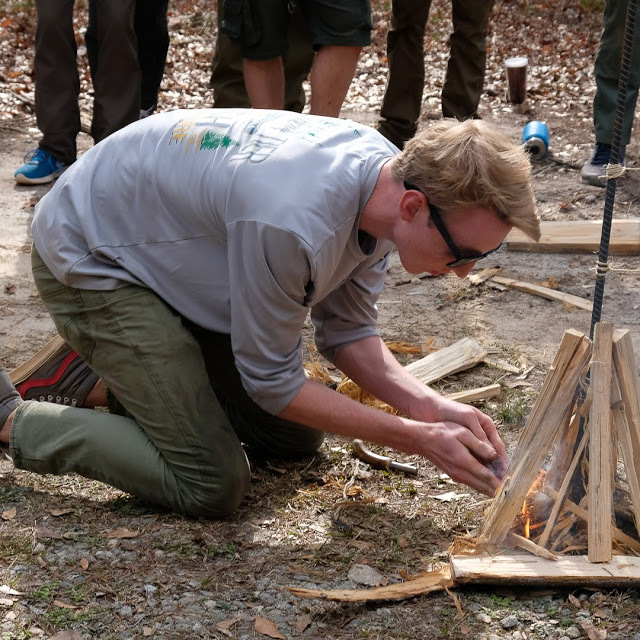 Troop 175 invited other Decatur troops to Camp 175 for a group camp-out. Troop 134 came up for the day to square off against Troop 175 in an unofficial Golden Axe competition and an Iron Chef cooking competition. 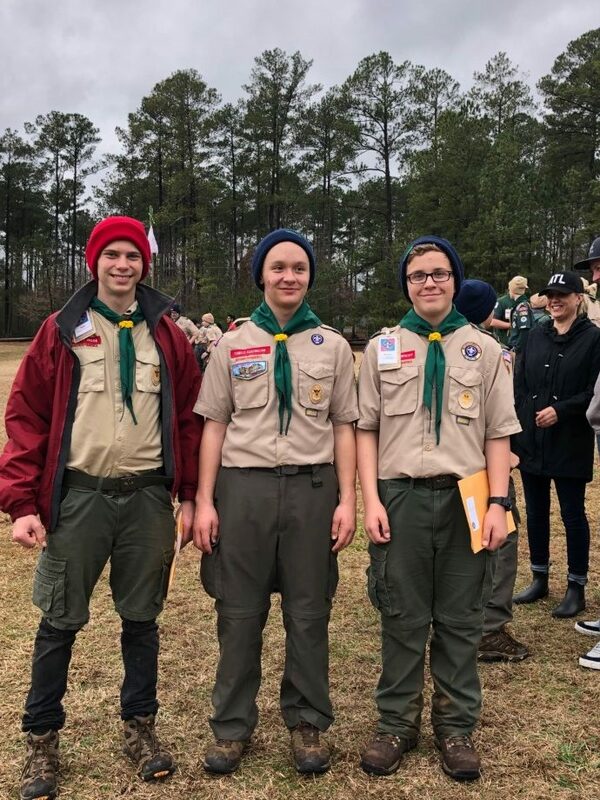 A double rainbow greeted the troop at Fort Yargo in Winder, Georgia as the boys carried out the second annual Troop 175 cooking competition. Each patrol cooked a breakfast, lunch, dinner and dessert for the panel of adult judges. We spent several Tuesday meetings learning all about firearm safety. 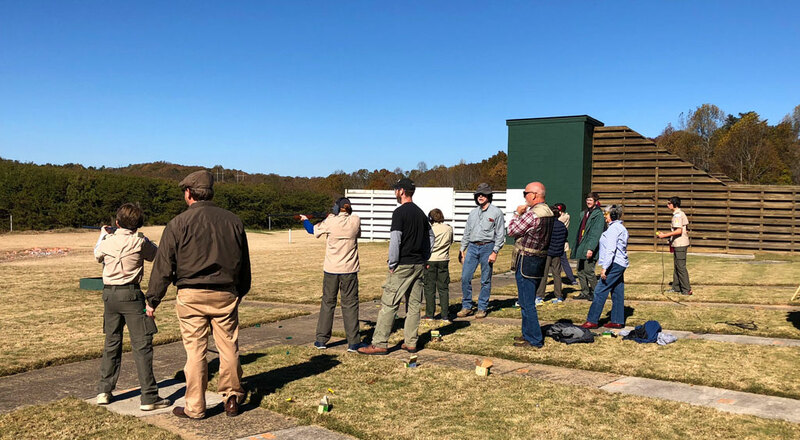 On a sunny November day we got some more training and had a great time practicing our shotgun shooting skills at the Cherokee Gun Club.